Laparoscopic colon cancer surgery. 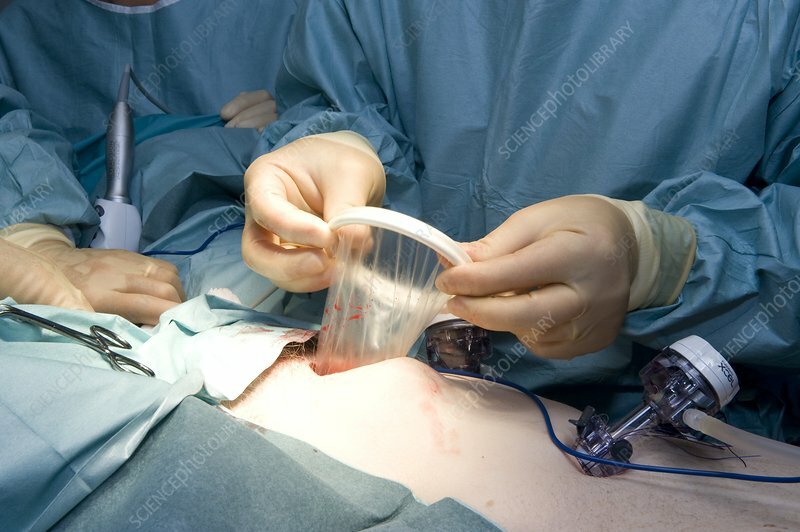 Surgeon positioning a laparoscopic retrieval bag in a patient's abdomen during a procedure to remove a carcinoma of the colon. The tumour has already been excised from its surrounding tissue using laparoscopic instruments. Laparoscopy (key hole surgery) is a type of minimally invasive surgery that can be conducted through very small incisions unlike conventional surgical procedures.